Local women entrepreneurs grow their businesses through technology. It’s well documented that there is a dearth of entrepreneurial women in leadership positions in the technology industry. At tech conferences, there are long lines for the men’s restrooms, with uncharacteristically short lines at the women’s. Beyond Marissa Mayer at Yahoo and Sheryl Sandberg at Facebook, most people would struggle to name other women running tech companies. Camp Inc., a new summer camp in the Rocky Mountains focusing on entrepreneurship and technology, finds it challenging to recruit teenage girls for its second summer, despite significant scholarship grants specifically for female campers. The majority of entrepreneurs who have launched successful startups are men, and few Fortune 500 technology companies have women in top executive positions. Both business graduate schools and technology institutes are struggling to enroll more women to help change this imbalance. Four entrepreneurial women, each with local roots in Metro Detroit, are bucking the trend and have found business success by using technology. They are not recent college graduates who have grown up with Facebook, Twitter and e-commerce; these serious entrepreneurs are middle-aged professional women who have discovered ways to exploit the Web, mobile apps and social media to grow their businesses. 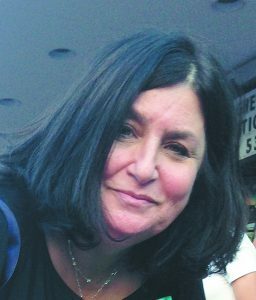 Former Detroiter Julie Staller-Pentelnik has been a professional Judaic artist for more than 30 years. She specializes in Judaic art, ketubahs, mezuzahs and calligraphy pieces. Living in Cincinnati, with its small Jewish community, limits her ability to sell her artwork traditionally, but this entrepreneurial artist has turned her business into a thriving e-commerce company. Staller-Pentelnik sells most of her artwork online through her well-trafficked website (jspjudaic.com) and social networks. Displaying her artwork, like ketubahs, on social networks like Pinterest, a website that brides-to-be flock to before their wedding, has really spiked her annual sales. She created a web presence about 10 years ago and, in the past few years, has realized that social media significantly expands her marketing reach. Carrie Lachman is a fourth-generation owner of Lachman & Co., a custom awards and engraving store in Southfield. Her great-grandfather started the business more than 120 years ago as a jewelry store in Detroit. Succeeding her grandfather and then father, Lachman became the first female to lead the company. She likes to say she took a bricks-and-mortar business in Southfield and made it global, thanks to the Internet. “Engraved awards and customized promotional products are a highly personalized industry, but with a dynamic website and an international reach on social networks like Pinterest, LinkedIn, Twitter and Facebook, we’ve found new corporate clients all over the country and in Canada,” she said. “We used to rely on sending out large catalogs of our items through the mail and on customers calling in or faxing us their orders,” Lachman explained. “But as soon as we had to change an item or its price, it was cost prohibitive to reprint the entire catalog. The Internet has made everything easier for us. Our catalog has moved online, and we use social networks to tell our clients and prospects about new products. 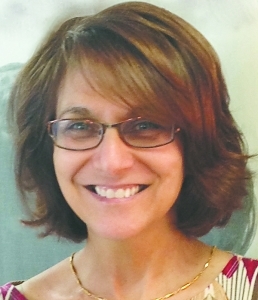 Diane Siriani, a local CPA, says that “technology” has been the buzz word in the accounting and tax industry for as long as she can remember. 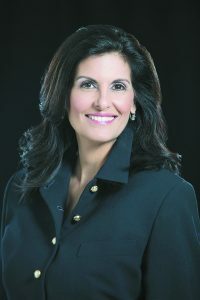 She started her career with a midsize firm more than 25 years ago, but after 9/11 she recognized that how the industry does business was going to change. Little did Siriani know that website development was the easy part. She still had to find a niche, which proved more challenging. Siriani recognized that countless American citizens live and work abroad who are confused about a special U.S. income tax they had to pay. Known as an expatriate tax, all American expats must file income taxes with the IRS each year even if they are being paid a salary from a foreign entity. Siriani’s business model was to market to these expatriates through the Internet and have tax experts around the country prepare their expat tax returns. Her company has grown from preparing 100 returns the first tax season to more than 2,500 today. Using Skype to videoconference with clients from around the globe, Siriani and her team of tax professionals patiently walk their clients through the complicated process of preparing expat tax returns. Even though Siriani has a local office in Metro Detroit, her business is borderless. She hires accountants from all over the country and uses social media to market her expertise. Thirty years ago, Lefton began working for the company that redesigned some of the closets in her own home. She learned the basics from the owner and, when he closed his shop, Lefton launched her own company. “I used to advertise every week, but it really ate into the profits so I began looking to social media to market my company,” she said. She recently received a call from a new client who said she asked on Facebook for a closet designer and immediately received three responses to call Lefton. Traditional “word of mouth” has moved to the Internet, Lefton realized. Now, she shows off her expertise on her website, closetsthatwork.com, where she posts before-and-after images of closets she has redesigned. She also launched Facebook and Pinterest accounts. 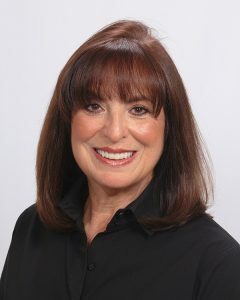 Lefton’s business has grown many times over because her clients and friends are able to share photos and videos online of her work. She also uses LinkedIn, the business social networking site, to network with home builders, architects and interior designers who refer clients to her. Women entrepreneurs have the same access to 21st-century technology as their male counterparts. It’s a level playing field for all business owners when it comes to putting a business on the Web. While women still trail men when it comes to business ownership and launching startups, these four women entrepreneurs demonstrate that with dedication and the willingness to expand beyond the traditional walls of a company through the Internet, the sky is the limit. Each of these businesswomen has found success through technology in ways that were not possible even a decade ago. These women say they’ll keep adapting as new technology emerges and will continue to watch their businesses flourish. Rabbi Jason Miller is an entrepreneur, educator and blogger. He is the technology expert for the Detroit Jewish News. Miller owns Access Computer Technology, a local computer support, web design and social media marketing company. Follow him on Twitter at @RabbiJason.